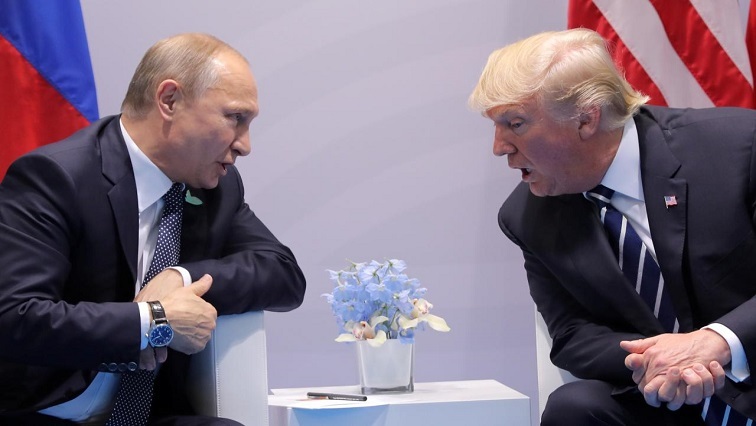 Helsinki summit is good for global peace, stability - SABC News - Breaking news, special reports, world, business, sport coverage of all South African current events. Africa's news leader. File image: Donald Trump will share the opprobrium with Putin, with the biggest rally -- dubbed "Helsinki Calling!" In less than two weeks, United States President Donald Trump and his Russian counterpart Vladimir Putin will meet face to face at a much anticipated summit in Finland’s capital, Helsinki. From his utterances during the primaries when he was running to become America’s 45th president, Trump had made it rather crystal clear that he prefers sound relations between Washington and Moscow. It was going to be one of his foreign policy key priorities once in the Oval office, but claims – albeit untested thus far – that Russia meddled in the US elections that catapulted him to the zenith of America’s political power had undermined the plans. Eighteen months down the line, however, Trump is following up on an enticing possibility of world peace spearheaded by close working ties between two powerful foes. The Helsinki Summit, therefore, has on its shoulders a huge burden of expectation that finally, once and for all, both President Trump and Putin could jointly play a leading role in making the world a much safer, peaceful place for indeed they both can and the world expects. Choruses of disapproval from especially the Democrats in Washington are to be expected since Hillary Clinton lost the 2016 presidential election to Trump. At some point, one can only wish, the Democrats will find it in themselves to turn the page and look to the future than spending so much of their precious time dissecting the past in search of any possible Trump sinker. Let’s face it, methinks John Bolton, the US national security advisor, captured it quite well when he recently defended Trump’s pursuit of world peace through closer ties with Russia. “I’d like to hear somebody say it’s a bad idea,” Bolton said during his recent visit to Moscow where he was working on the Helsinki Summit preparations. He further alluded to the appetising desire to take a leaf out of Russia’s book in their preparations for the 2026 FIFA World Cup which the US will co-host with its close neighbours Mexico and Canada. Although the FIFA World Cup currently underway in Russia is only entering its final stages, pundits and commentators are hailing the event as a truly remarkable spectacle of an era. Bolton is absolutely spot-on: learn from the best. Bolton himself is a former hawkish politician who has said disparaging things about Russia in the past. He refused to be drawn on his previous stand-point, saying he was now looking to the future and that his mandate is to work toward achieving truly closer ties with Moscow. When one looks at the global hot-spots where the US and Russia are playing protagonist roles but on the opposing sides, one can only wonder at the continually lost opportunities to save lives, cities and indeed our planet. Among the many examples of unnecessary destruction is the on-going bombing in Syria, once a peaceful, prosperous Biblical country now lying in ruins and leaving millions of its citizens either displaced or dead. If both the US and Russian tanks were fighting in the same side, the scourge of terror groups such as Al-Qaeda would have long been dealt a permanent blow. One of the oft-made mistakes especially by the powerful in the international order is to assume a misguided sense of insulation from harm. Yet in this globalising world, where like never before the contraction of time and space means that we are interwoven in a global village, and therefore inter-dependent, peace is a much better prospect for us and our children and indeed for many generations to come, regardless of where they are born. The Helsinki Summit is yet another interval in history which provides an opportunity for some epoch moment to emerge out of a sweltering heat of global despair. It is time to give peace yet another chance. This entry was posted on 04 Jul 2018,08:03AM at 8:03 AM and is filed under Opinion, Homepage Latest Stories Slider. You can follow any responses to this entry through the RSS 2.0 feed. Both comments and pings are currently closed.